The eqnchar command contains nroff(1) and troff(1) character definitions for constructing characters that are not available on the Graphic Systems typesetter. These definitions are primarily intended for use with eqn(1) and neqn(1). 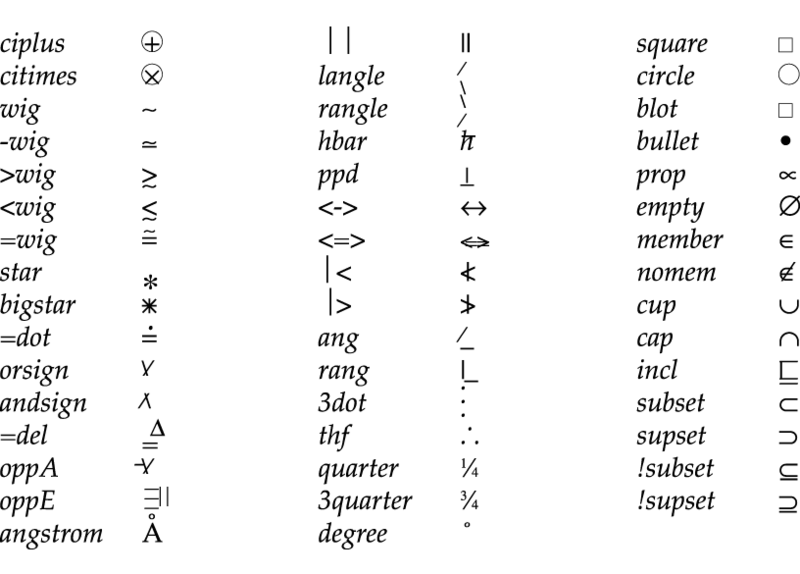 It contains definitions for the characters listed in the following table.